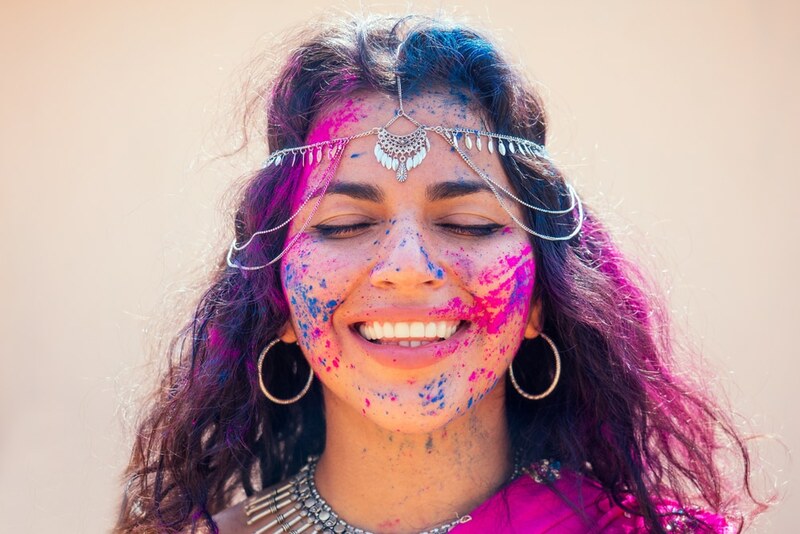 The festival of colours is almost over and that means a whole new gamut of skin and hair care issues to deal with. Holi brings about allergic skin reactions, acne breakouts, dry, frizzy hair and skin that desperately needs some glow. These issues crop up due to irritants in colours and the greasy food that accompanies all the partying. So, now it’s time for solution-based, problem-solving treatments that will help get your beauty regime back on track. The fact that we are moving towards organic Holi colours means that there are less irritants to deal with. So start with oil cleansing – the whole double-cleansing bit works well here to take care of the grease and to give your skin that attention it so desperately needs. The oil-based cleanser emulsifies all that grime and colour and cleans your skin from the inside giving it a natural glow. Add a mild cleanser to the mix that will remove all the remnants of colour with less friction so your skin can breathe. We also recommend using a good mild cleanser that doesn’t foam or irritate the skin with too many ingredients. Best mild cleansers according to us: CeraVe Hydrating Cleanser, Just Herbs SilkSplash Neem-Bitter Orange Rehydrant Face Wash and The Clinique Liquid Facial Soap Mild. This one needs to be simple – a mild, non-irritating toner is a good option to work into the skin. The Muji Light Toning Liquid is a great option for those looking for something simple. Another great option is the Klairs Supple Preparation Facial Toner that really removes all the leftover grime and gives your skin an even tone. Cut down on Essences and serums and even spot treatments and head straight to a good moisturizer that is known to have Hyaluronic acid that really adds the moisture back into your skin. The Clinique Moisture Surge is a great option as well as the Face Shop Chia Seed No Shine Intense Hydrating Cream that really nourishes the skin and keeps it well-moisturised. 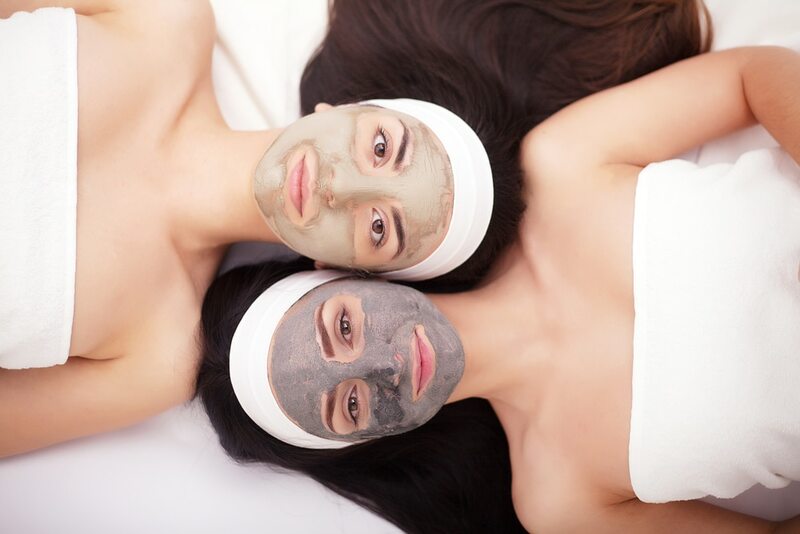 Apart from the usual CTM routine, invest in a good sheet mask or a good hydrating mask to infuse that much needed moisture boost into your skin. Do it between after your cleansing process and before you start your toning process so the mask can add the hydration and prep skin for the onslaught of other products. Our favourite sheet masks include Kiehl’s Instant Renewal Concentrate Mask; Laneige Water Bank Double Gel Soothing Mask; Shangpree Marine Jewel Illuminating Sheet Mask. The other masks that can add a good brightening effect to your skin are Glamglow Flashmud Brightening Treatment; Bobbi Brown Radiance Boost Mask; Kiehl’s Rare Earth Deep Pore Cleansing Masque and the very popular Kiehl’s Turmeric & Cranberry Seed Energizing Radiance Masque. They all come with mild, but effective ingredients that bring your skin back to life. Before you head out for a bath, it’s good to dry scrub your favourite oil onto your skin and give a good brushing so your skin gets rid of all the dead skin cells and that residual colour. A mild cleanser and a gentle body wash helps cleanse out all the colour and hydrate the skin. Look for ingredients that bring about that calming, soothing feeling – think Lavender, Bergamont, Aloe or even Indian rose. They calm irritated skin and make your skin soft. A good body scrub, preferably a coffee scrub can remove unnecessary colours that stick to the skin and give your body a glow. After the bath, you can use a calming, soothing body cream like The Body Shop Spa Of The World Japanese Camellia Cream that’s both luxurious and soft on the skin or the Kiehls Creme De Corps Soy Milk & Honey Whipped Body Butter or any of the MorroccanOil souffles that sink into the skin to give it that hydrating effect. A good body oil is a great add-on too. Hair does take a long time to recover from the ill-effects of Holi and even if you have oiled it to prevent hair dryness, it still does take a long time to get your hair back to normal. The colours make the hair drier and more frizzy, so it takes a longer routine to get it back into shape. The first thing one needs to do is to wash hair off with a mild shampoo and a good conditioner that allows the hair to breathe and gives it’s natural oils back. A good hair mask like the Kérastase Nutritive Masque Magistral that is super creamy and hydrating and brings the shine back to hair. The Kiehl’s Olive Fruit Oil Deeply Repairative Hair Pack, Aveda Smooth Infusion Smoothing Masque and Kevin.Murphy Young.Again.Masque Deep Conditioning Masque and Balmain Paris Revitalizing Mask are other great options to add volume and shine to dull, lifeless hair.